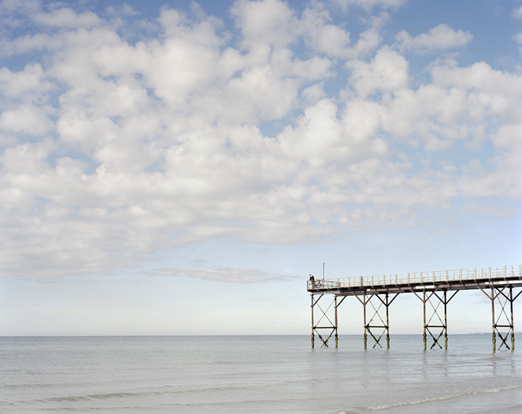 There’s no doubt that British piers add plenty of quintessential seaside charm to our coastal towns. 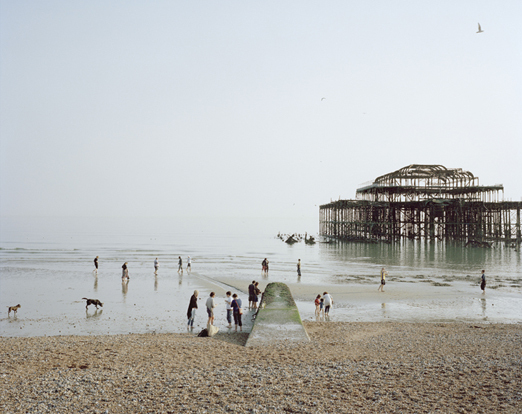 Brighton’s pierdom began in 1823 with the Chain Pier (immortalised by Turner no less), followed by the West Pier in 1866 – the ghostly remains of which still provide the iconic backdrop to many a tourist’s selfie – and the Palace Pier 33 years later. 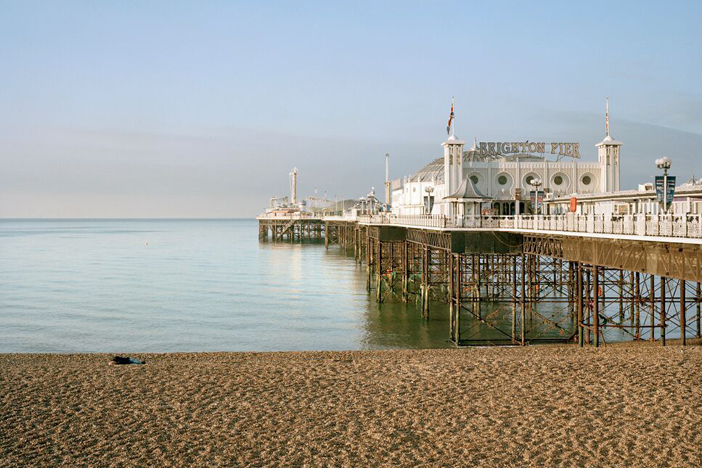 For us Brightonians the two piers are entwined in our day to day lives. They are used as a meeting place and a geographical reference point (“I’m five minutes from the West Pier!”), as much as they are admired for the stunning images of them standing stoically at sea during sun, rain and snow. The sunset behind the haunting West Pier never gets stale. 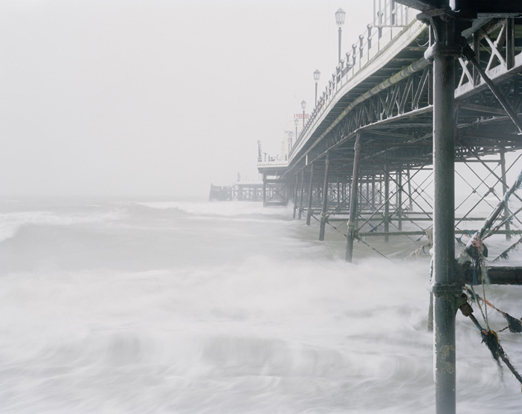 Brighton-based and internationally renowned photographer, Simon Roberts, has been on a three year pursuit of the British coastline to document all remaining pleasure piers. Using a large format 4 x 5” field camera, the resulting forty photographs form his extraordinary exhibition and acclaimed book Pierdom. 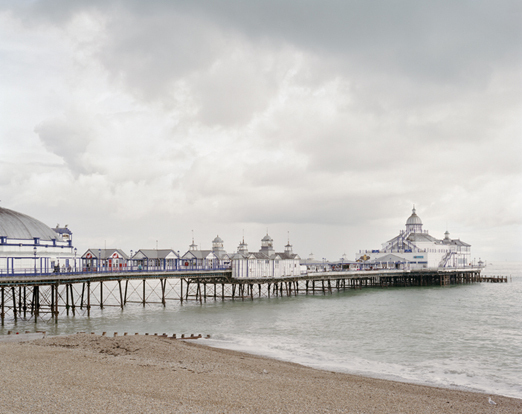 The images, alongside a short documentary film, are currently exhibited together for the first time at Brighton Museum and Art Gallery. The multi award-winning photographer is widely celebrated for his curious exploration of his subjects. Characteristically, he considers his topics from a cultural, economical and political view to create a compelling social survey of our time. 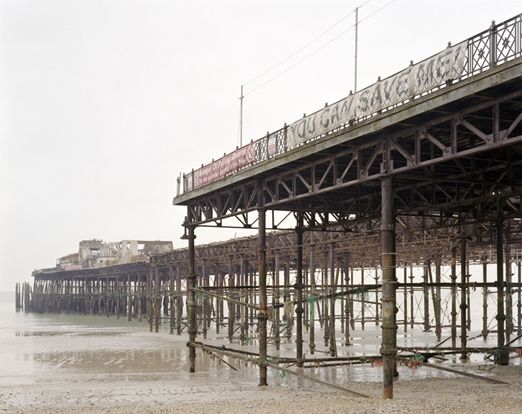 Roberts explains: “I don’t think anything sums up our British national identity more powerfully than the pleasure pier. A century ago our coastline had over a hundred, but today fewer than half of them are still standing. My aim is to highlight the historical significance of these structures as cultural landmarks. Tracing our social history from the Victorian period until now”. Pierdom is thought-provoking and nostalgic. We all have a pier story, and as part of the exhibition Roberts invites visitors to share theirs. As well as personal photographs, charming stories of childhood day trips (looking down through the slots and fearing falling into the sea), memories and romantic encounters are shared on his website’s public gallery.